The Government of Malaysia has said that while it has good bilateral relations with China, it would not be keen to go overboard in getting involved in Beijing's BRI. KUALA LUMPUR: The Government of Malaysia has said that while it has good bilateral relations with China, it would not be keen to go overboard in getting involved in Beijing's expansionist infrastructure-related Belt Road Initiative (BRI) without having the appropriate funds to do so. In a statement, Malaysia's 92-year-old President, Dr. Mahathir Mohamed, said, "China comes with a lot of money and says you can borrow this money. But, you must think, 'How do I repay?'" Aware of the fact that countries like Sri Lanka, Bangladesh, Laos, Cambodia, The Philippines and Indonesia are facing financial constraints because of their overzealous involvement in the BRI, Dr. Mohamed said, "Some countries see only the project and not the payment part of it. That's how they lose large chunks of their country. We don't want that." 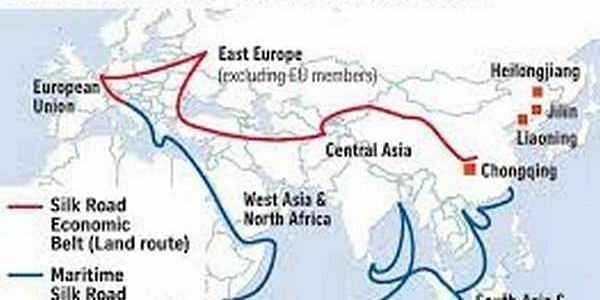 Not only countries in the Asia-Pacific region, but also several European nations are reportedly keen to restrict China's economic-centric geopolitical advance via the multi-billion dollar BRI also known as the One Belt One Road (OBOR) initiative over concerns about Beijing attempting a takeover of sorts of the region. One recent article said that Germany, France and Italy are already preventing what they see as a "proverbial Chinese takeover" of Europe, raising fears this could lead to a break-up of the European Union in the not too distant future. Most European countries are reportedly looking at the experience in South East Asia, where Chinese investment and aid has resulted in "neutering the Association of Southeast Asian Nations, Cambodia and The Philippines. There are concerns in European capitals majorly over the considerable ambiguity and secrecy that surround Chinese projects. There is also a view that several Chinese initiatives in Asia have failed to result in the much espoused 'win-win' claim for recipient countries made by Beijing. Several nations are said to be in deep debt to Chinese bankers. Germany, for instance, is promoting the need for a legislation to prevent a draining of technology and know-how, and it being replaced by Chinese items. This legislation is currently in the draft stage. French President Emmanuel Macron has said that China's new Silk Roads can't be a project that benefits Beijing alone. If this proposed legislation becomes law, EU member countries would be able to prohibit China from investing in an unbridled way, and also make Beijing compulsorily share investment-related information with each EU member and the European Commission. China's focus on Eastern Europe is also a matter of concern to countries in that region. It is now being acknowledged that a great deal of Chinese investment is coming into eastern Europe in terms of infrastructure development, but a significant portion of this is reportedly being reserved for acquisitions, largely because prices for acquisitions are lower and concessions for Chinese investments are high. There are fears among leading EU countries that if suitable counter measures are not taken, there could exist a case for Chinese hegemonism, which in economic terms would mean a massive trade imbalance between China and the central and eastern European countries. Secondly, there is a belief that a significant Chinese presence and capital would allow the EU periphery countries to put pressure on Brussels and thus frustrate the EU's bid to develop a common policy vis-a-vis China. Germany has been calling on Beijing to respect the concept of "one Europe".